Wax Treatment - This Sunday! Bass Is The Place! This Sunday is BASS Time again. 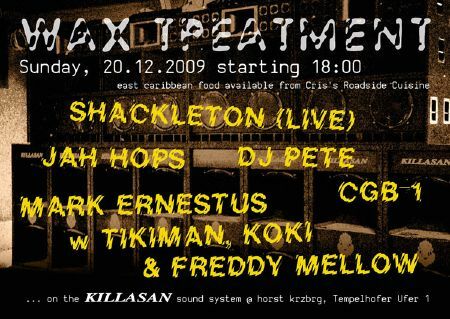 Wax Treatment presents CGB-1, Shackleton (Live), Jah Hops, DJ Pete and Mark Ernestus alongside Tikiman, Koki and Freddy Mellow on the mic! 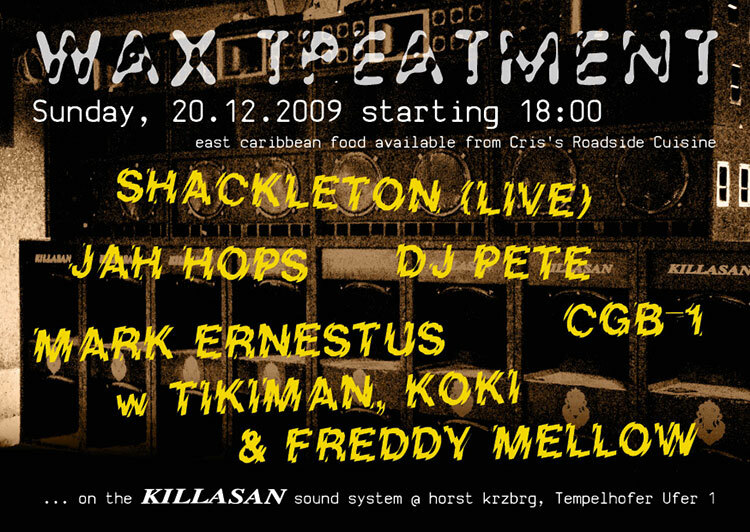 Reinforced by the mighty KILLASAN sound system! Starts at 6 PM - come early, nice caribbean food available!